This mug is for loyal fans of Bob Ross. When the mug is cold, the image of Bob Ross reminds you to be calm and find time in your life to create. When you pour in a hot beverage, a Bob Ross painting appears to inspire you. Holds 12 ounces. Disappearing mugs are not dishwasher safe but are microwave safe. 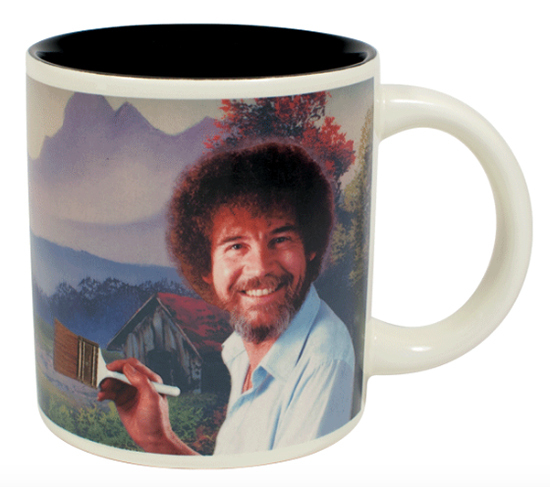 Click the button below to add the Bob Ross Self-Painting Mug to your wish list.